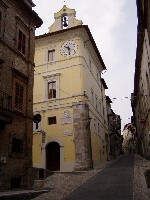 The "Garibaldini" youth hostel is situated in an ancient building in the centre of the medieval village of Collescipoli where time is still marked by the tolling of bells and mornings are accompanied by the twittering of birds. Legends and memories of past times are kept alive by the stories of the local people. 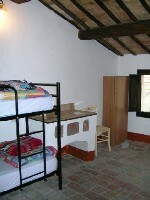 The atmosphere in the hostel is so pleasant and warm you are reminded of those family gatherings that used to take place around an open fire. The ancient building blends in well in the village. It has been fully restored and the original structure has been carefully preserved, complete with wooden ceilings, original floors and decorated doors. 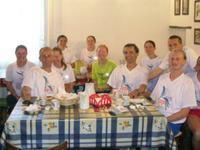 The hostel is family-run and the staff are friendly and always willing to help.